From the somber majesty of Spain to the glittering and lethal courts of Flanders, France, and Tudor England, The Last Queen brings to life all the grandeur and drama of an incomparable era and the singular humanity of a courageous, passionate princess whose fight to claim her birthright captivated the world. And why is that? Really, this is the story of two old Southern families. The Langley family has more money than the Morgan Stanley Bank. And they think they have more class. The Barrett family made their nineteenth-century fortune in a less distinguished manner—corner grocery stores and liquor stores. It's no surprise that when J.D. and Betts fall in love and decide to marry their parents are none too pleased. And when the love affair comes to an end, everyone is ready to place blame. Now twenty years have gone by and Betts, a top investment bank executive, must leave her comfortable life in New York City to return to the home she thought she'd left behind forever. But spearheading the most important project of her career puts her back in contact with everything she's tried so hard to forget: her estranged sister, her father, J.D., and her past. So what was in your mailbox? Nice mailbox. It's been years since I've read any of Frank's work, but I've always enjoyed it. Ooh The Last Queen looks awesome. I only got one last week at The Crowded Leaf. 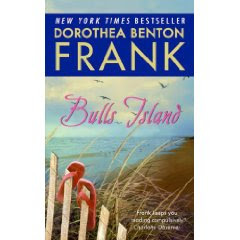 I enjoy Dorothea Benton Frank. Both books look very good. Have a great reading week!